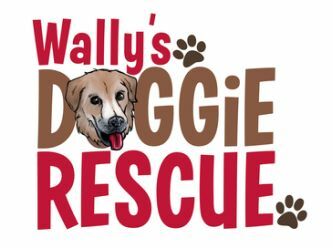 Wally's Rescue is a dog rescue that is run by a group of dedicated volunteers. Wally’s covers Sydney, Central Coast, Port Macquarie, Hunter and the Central West of NSW. 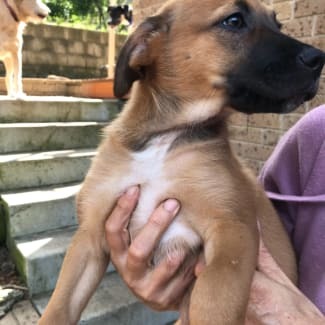 Our aim is to rehome unwanted, abandoned, abused, mistreated and neglected dogs and pups and whilst doing so, educating the community about being responsible pet owners. We wish to find our beautiful foster dogs and pups their ideal forever homes where they will receive the love they always deserved. Meet Claire! 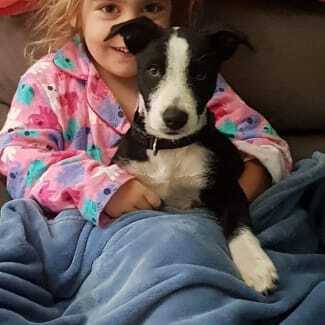 Claire is a sweet 11 week old Border Collie x Kelpie who is on the lookout for her forever home. Claire is sweet, loyal and well-mannered. She is the quiet sweetheart amongst her siblings and can be a bit shy when meeting new people, but is quick to warm up after some cuddles. 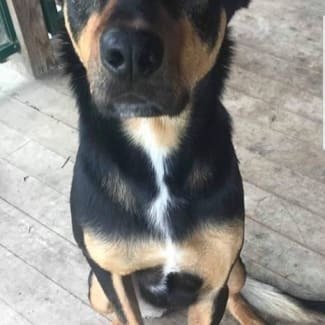 She currently lives with her foster carer in Narara NSW, with other dogs, cats and teenagers. She is a very good girl and pays no attention to the cats walking around, she prefers to play and cuddle with her foster carers instead. Claire is a very smart girl and is doing well in training. Currently Claire is working on perfecting her toilet training and learning how to sit. She also loves to share her food and shows no signs of food aggression. Claire’s idea of a perfect home would be a loving home that takes her on their adventures. She would love a home where she’s allowed inside so she can be part of the family. She is a very well mannered girl who with continuing training will make a great family dog or companion. 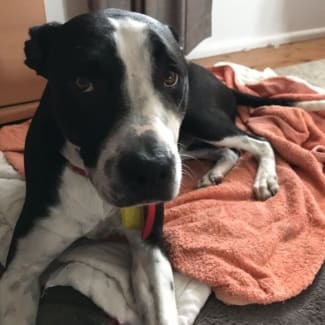 If you think Claire would be a great addition to your family or would like to find out more about Claire please answer the adoption questions below in your enquiry. My name is Ted. I am a very happy boy who loves playing with the other dogs. I’m even happy to share the ball! I love having a splash in the shell pool too, especially when I’m playing ball and have been running really fast. I have lovely long legs and everyone says I have legs like a model. Of course I know I’m handsome, but my legs are definitely one of my finest points! I’m looking for a family that want a buddy who’s friendly and has a gentle soul as I can get a bit scared when I meet big doggies. I’m a bit too interested in cats (I don’t really know what they are??? ), so it’s probably best my family are a dog only family. I also love playing with the little pups in my foster home and am very gentle with them. With my stunning long legs and my breed I would much prefer a home where there’s plenty of room to run and hopefully another friendly doggie to play with, ball games of course 🐶😊 Oh and one more thing....I have AWESOME ears too! I am in foster care in Parkes but could travel to the Central Coast. Dixie is a special lady looking for her retirement home. Although she now aged 10 nothing stops this lady and she lives life to the full. Dixie loves spending time with kids as she herself is young at heart. Hi, my name’s Scarlett and I’m the most lovey pup you’ll ever meet. I’m very sociable, lots of fun and a bit cheeky. I play nicely with other dogs and have lived with children. I would love to find a new human family to love, in exchange for food and a warm bed (yours preferably :-)). 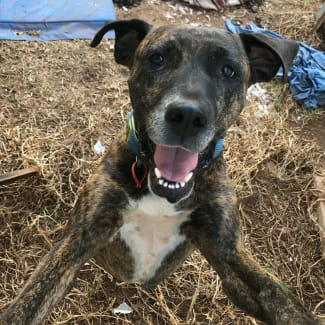 I’m a happy young girl with lots of energy and I’ll give you plenty of laughs when I bound around your back yard like a maniac 😉 Don’t worry if you think you can’t keep up with me though because I really just want to hang out with you. I’ll happily lie around all day by your side or on top of you if you let me. I just love pats and cuddles and I’ll be your BFF if you adopt me. I’m a pretty well-behaved girl, I sit for my food and I know how to walk nicely on the leash, especially if I get treats to remind me how. I’m crate trained, I never toilet in the house and I’ve got a beautiful shiny easy-care short coat. I’d be a fabulous addition to almost any family although I might be a bit too excitable for small children, and a home without cats would be best. If you’re a single person looking for a companion dog then I’m your gal!